Who doesn’t love playing with their food? I always encourage it because it’s fun! 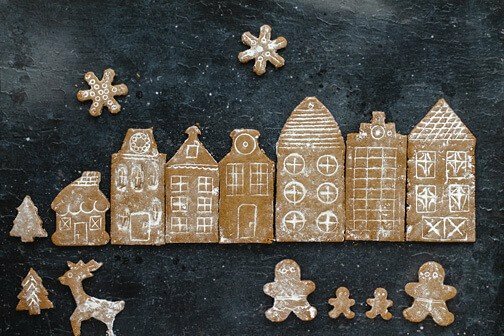 It’s time for you to break the mold of the cookie cutter, and try this fun German gingerbread cookie village! 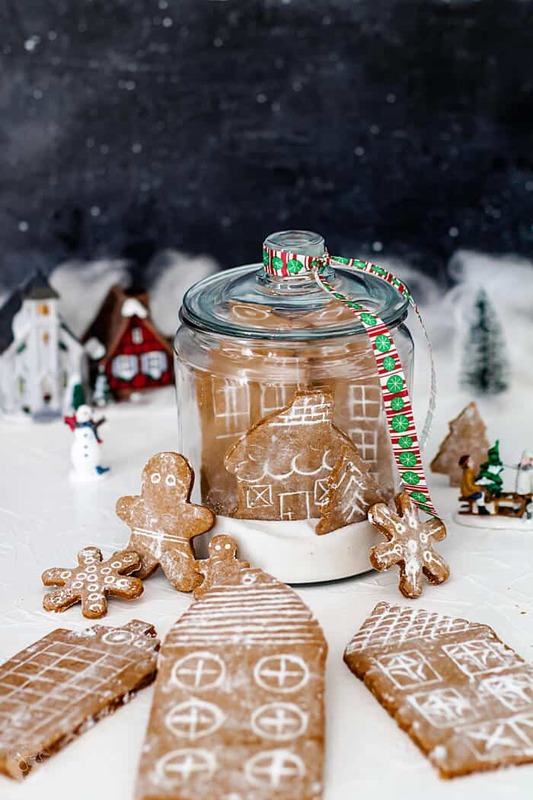 Fill your house with the best-ever aroma with these spicy gingerbread cookies. Gingerbread is an absolute must in my family for the holidays. The warm, cozy scent of gingerbread drifting through my kitchen and the whole house is enough to make even the Grinch sing Christmas carols. German gingerbread cookies, or Lebkuchen, are my favorite, cannot-fail gingerbread cookie recipes. The touch of almond extract adds a beautiful flavor and aroma to the cookies. 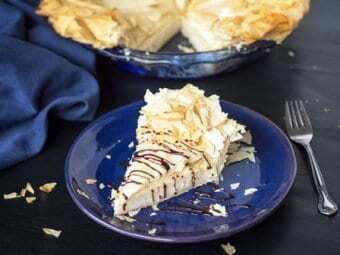 The Germans sure do love their almond desserts. 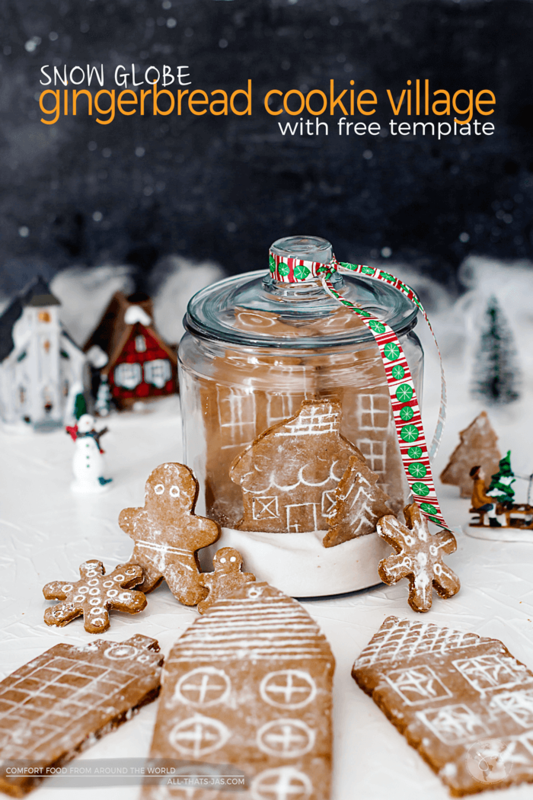 These German gingerbread cookies will be some of the best tasting gingerbread cookies you will ever make. Snow globes are also a holiday essential in my family. Growing up, I had a bookshelf dedicated to them. I loved their itty-bitty little villages and tiny people and sceneries. Of course, I loved shaking them to give them all a fresh coat of snow. I had a couple of them that you could even wind up at the bottom and they’d play you a Christmas song. Snow globes were such a fun little world to get lost in as a kid. Admittedly, I got a little bored with just making gingerbread cookies into circles or into little gingerbread men, so I decided to switch things up a bit. I was inspired by my love of snow globes and decided to make this tiny happy village, except in cookie form, inspired by BHG magazine. You can cut the shapes in little houses, people, reindeer, and more to create your scenery, and then cut some into snowflakes for your snow. 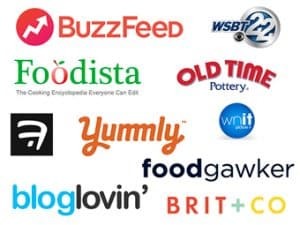 It’s your chance to be creative and make a little art with your cookies. Download the FREE TEMPLATE for the village and decorate as desired. Lebkuchen, or Pfefferkuchen, is a traditional German Christmas treat resembling Gingerbread. German Lebkuchen is usually soft, but a harder type of Lebkuchen is used to produce Lebkuchen hearts (found on German fairs) which are usually inscribed with affectionate, sarcastic or obscene messages in icing. I don’t think anyone eats them though. They’re like a souvenir and I had my fair share of Lebkuchenherzen when I lived there. As you know, all kids love helping out in the kitchen, especially when it comes to baking. I’m sure as a kid you loved making sugar or gingerbread cookies and cutting shapes into them and decorating them. Now they get to start from scratch and make an entire edible village. Each one will be completely unique too, a little something for each kid to show off as their own. 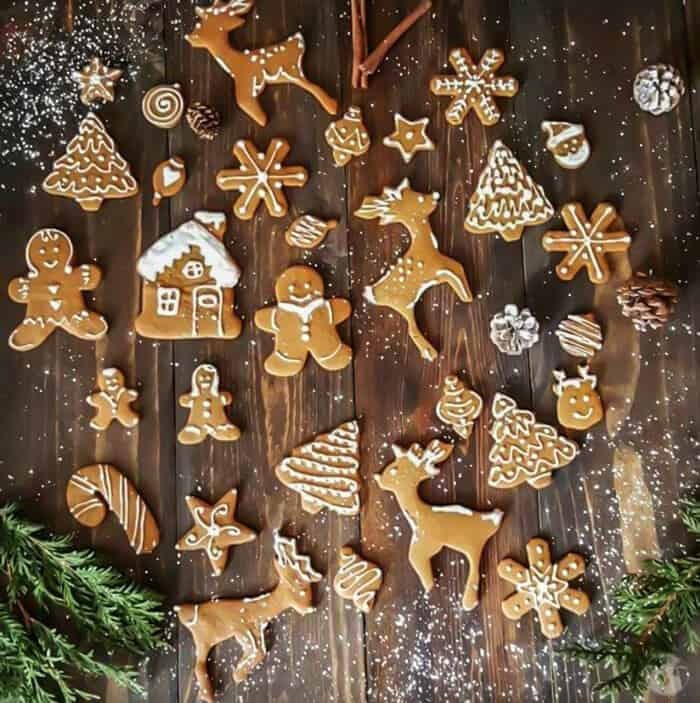 I do find, however, that kids will love creating gingerbread cookies and decorating them, but often times won’t eat them. I know ginger is an acquired taste for some, but it just warms you up and gets you in the spirit. If you want to get even more creative, feel free to use some decorative icing on your gingerbread buildings, people, animals, and trees. I usually just engrave little drawings onto them and use some powdered sugar, but that choice is entirely yours! 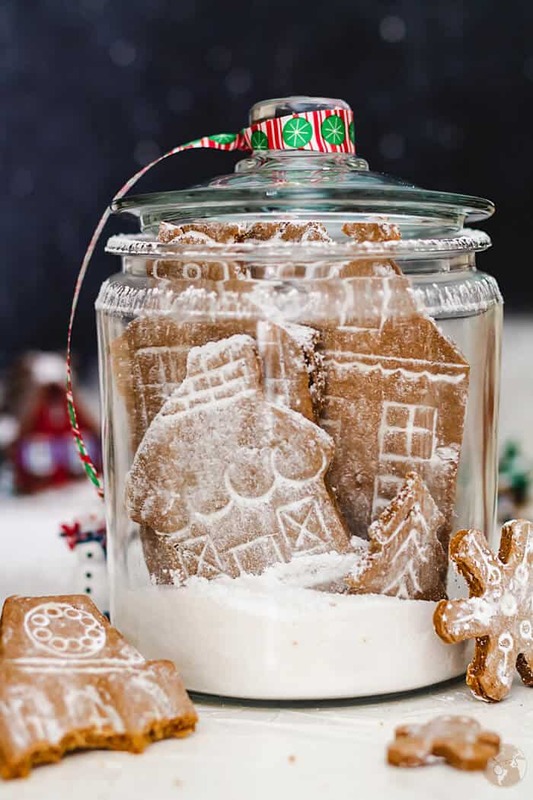 If you’re trying to get in the Christmas spirit, it’s time to create some of these snow globe Lebkuchen! Making your own Lebkuchen spice mix is easy. 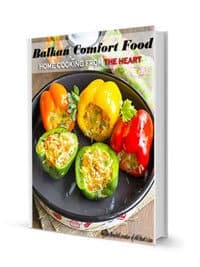 Download my FREE 30 homemade spice blends ebook for the recipe. I also highly recommend you accompany this recipe with some holiday tunes, the good company of family, and your favorite holiday drink. To imprint round shapes into the dough, use a straw, small bottle cap or a small melon baller. In a bowl, whisk all the dry ingredients except sugar, until well combined. Next, with an electric mixer on high speed, beat the butter, brown sugar, and molasses in a large bowl until light and fluffy. Add egg and beat until smooth. Knead the dough until smooth: divide in half. Wrap each half in plastic wrap and chill for 30 minutes. Meanwhile, roll each dough half on parchment paper into a rectangle, about 15×10-inch. Using the village template (or free-hand) and a sharp knife, score shapes on each sheet of dough, without cutting completely through the dough (this will help separate cookies after baking). Using a cookie cutter, cut out trees and other shapes as desired from the extra dough. Transfer each parchment sheet of dough to a 15×10-inch baking pan (or do in two batches, keeping the other half of dough refrigerated until ready to use). Remove excess dough scraps. Add decorative detailing like brick and windows, using a sharp edge of a dough scraper or a knife, without cutting all the way through the dough. Bake 10 minutes. Remove from the oven and carefully cut along scored lines of the buildings and roof shapes. Bake 10 more minutes, or until firm. Cool completely on a wire rack before separating gingerbread pieces. Sprinkle cookies with powdered sugar, and gently rub it in. Cover with waxed paper and let stand for at least 30 minutes. 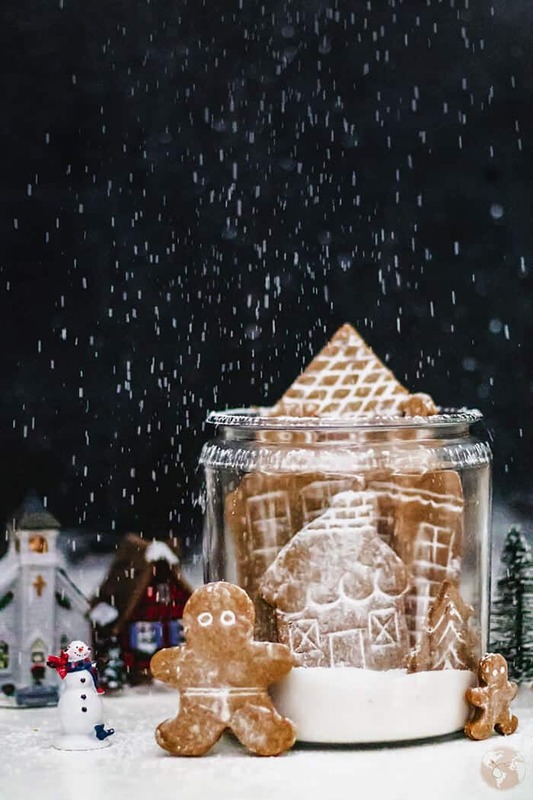 Arrange cookies in a large glass jar filled with granulated sugar up to 2-3 inches. Enjoy! 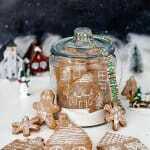 Ginger and spice-flavored cookies are perfect for building German gingerbread snow globe village. Knead the dough until smooth: divide in half. Wrap each dough half in plastic wrap and chill for 30 minutes. Meanwhile, roll each dough half on parchment paper into a rectangle, about 15x10-inch. 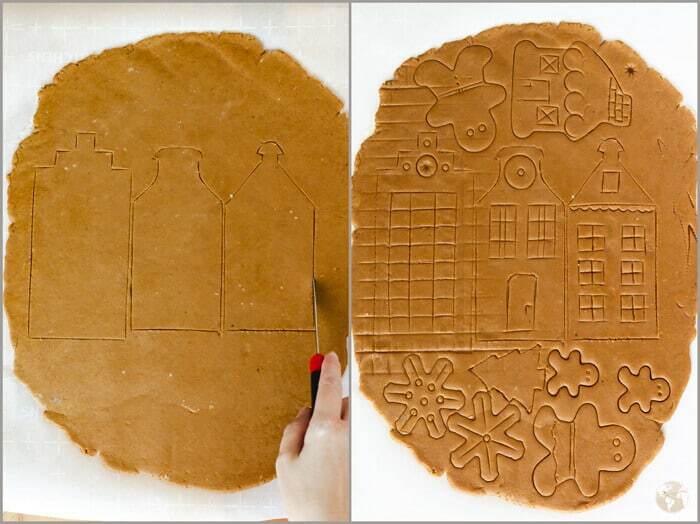 Using the village template (or free-hand) and a sharp knife, score shapes on each sheet of dough, without cutting completely through the dough (this will help separate cookies after baking). Using a cookie cutter, cut out trees and other shapes as desired from the extra dough. Transfer each parchment sheet of dough to a 15x10-inch baking pan (or do in two batches, keeping the other half of dough refrigerated until ready to use). Remove excess dough scraps. Add decorative detailing like brick and windows, using a sharp edge of a dough scraper or a knife, without cutting all the way through the dough. Featured on Pieced Pastimes, Refresh Restyle, Reviews, Chews & How-Tos, The Answer is Chocolate, and Finding Silver Pennies. That’s a very cute gingerbread village. Pepparkaka (gingersnap) houses are a big part of the Jul (Christmas) culture here, but yours is not as involved as making a big gingerbread house. Fun play I think and a great idea. Thanks, Ron. I rarely have the patience for something too involved, so these 2D houses have to do it, lol. Have a great week! This is SO cute and SO creative!! They look so cute and delicious it’s a shame you don’t eat them. I’ve seen these in bakeries and boutiques and just love them. This one is no exception. Featuring when my link party opens tonight. So glad you like it, Elaine! Happy holidays!